You've found the perfect dress — why not get dessert to match? 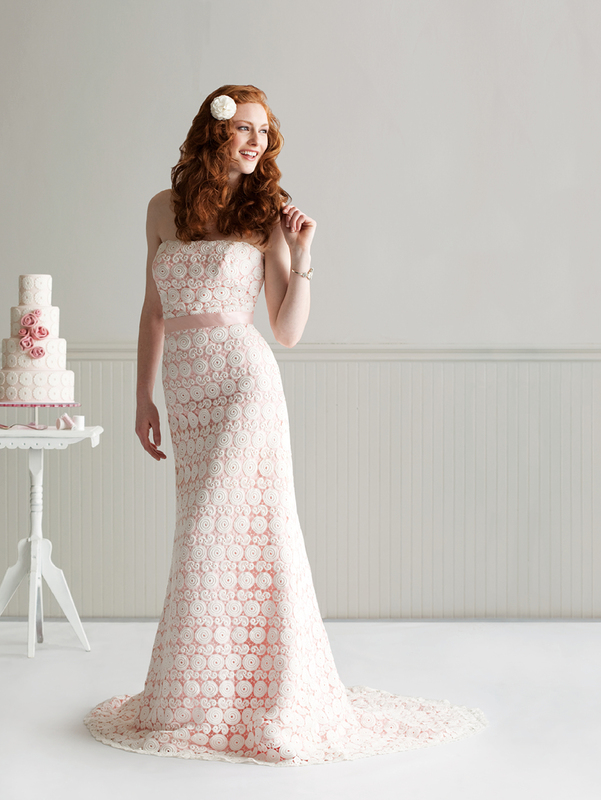 Five local bakers whip up cakes inspired by gorgeous gowns. By Anne Vickman and Alyce Jones·	 6/16/2011, 3:04 a.m.
Lilly Pulitzer “Libby” lace-overlay gown, $2,700, and Haute Bride sterling silver bracelet with Swarovski crystals, $225, both Country Weddings; silk flutter flower clip, $58 for two, EmersonMade. 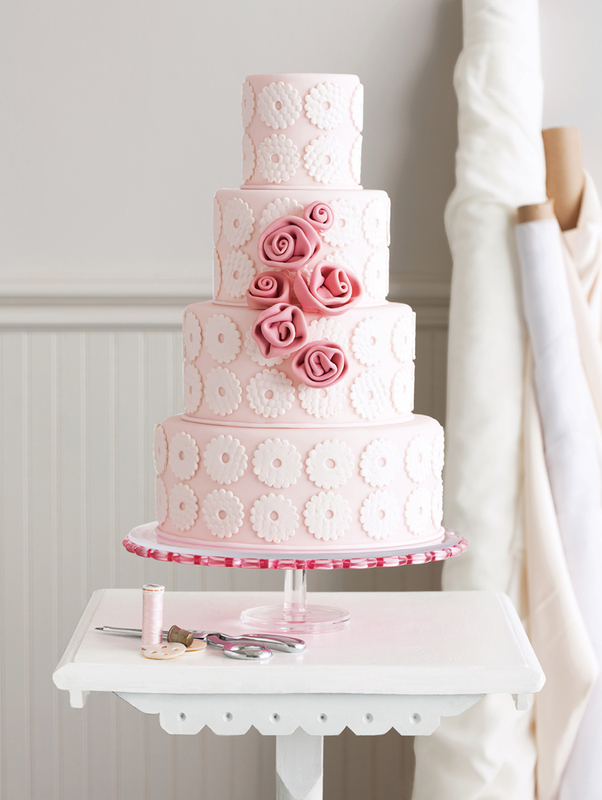 Four-tier fondant-covered round cake with sugar cutouts and sugar flowers, starts at $10 per slice, Jenny’s Wedding Cakes.